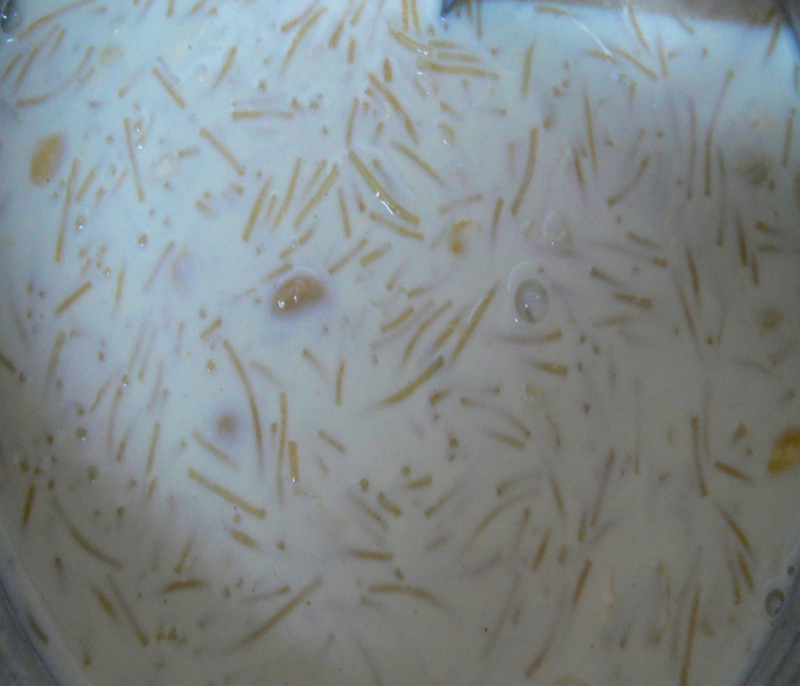 Ghee-sauted Vermicelli cooked in milk with crushed nuts. Tastes so good if u add 200 gm sugar but I reduced the amount of sugar to have a mild sweetness,which is good for all.Try at home and enjoy this tasty Kheer. Take a microwave bowl,add all the ingredients except crushed nuts and mix well till the sugar gets dissolved. Microwave this high for 10 mins. Take the bowl out,add the ghee-sauted crushed nuts and microwave this high for 20 mins, stirring this every time u see the milk rising to brim or the upper-edge of the bowl. Transfer this into serving bowl and Serve cold.